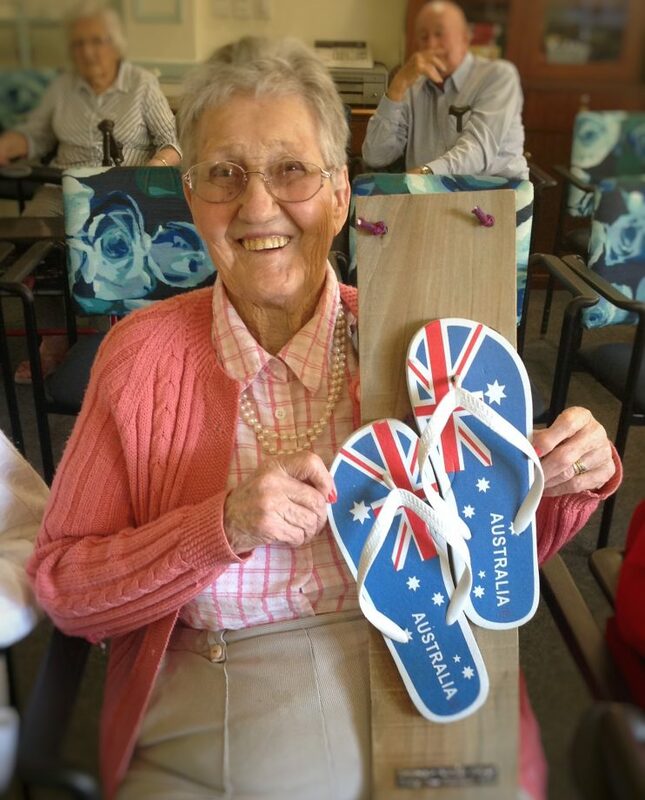 Australia Day was celebrated at our Belmont Grange Home in true Aussie Style! Close to one hundred residents enjoyed a BBQ Lunch with Sausages, Coleslaw and other salads and condiments as well as freshly baked Lamingtons and cream for dessert. Residents wore their Australian hats and waved flags, cheering one another on with games played throughout the afternoon. The most popular game was thong tossing to see who could throw the thong the furthest! The winner was Mavis, who was thrilled to receive a trophy for her efforts. A big thank you to our wonderful lifestyle staff for making this day so enjoyable and to our ever enthusiastic residents who participated in the spirit of the day. If you would like to visit one of our Aged Care Homes in Victoria, please contact us on (03) 9559 0400.